Kyrgyz Prime Minister Mukhammedkalyi Abylgaziev met King of Saudi Arabia Salman bin Abdulaziz Al Saud in the city of Riyadh, the Government Office reported, Trend informs citing Kabar. 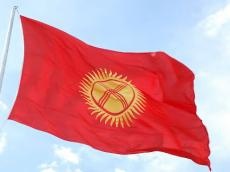 The head of government thanked the King for inviting him to take part in the closing ceremony of the Camel Fest international ethnofestival and conveyed words of greeting on behalf of President of the Kyrgyz Republic Sooronbay Jeenbekov. During the meeting, the sides discussed topical issues of bilateral cooperation, including in the trade, economic, investment and humanitarian fields. The Prime Minister emphasized that Saudi Arabia is an important partner and occupies a special place in the foreign policy of Kyrgyzstan. “These days, citizens of our country come for pilgrimage and visit two holy sites. At the same time, it is very gratifying to note that the number of tourists from Saudi Arabia, for which our doors are always open, is increasing every year,” Mukhammedkalyi Abylgaziev said. In addition, Mukhammedkalyi Abylgaziev called further development and strengthening of trade, economic and investment cooperation as one of the most important areas of bilateral cooperation. According to him, the countries do not fully use the existing potential of economic cooperation. In turn, the King of Saudi Arabia noted the importance of the further development of friendly relations between the countries. Salman bin Abdulaziz Al Saud emphasized readiness to support existing initiatives to increase bilateral cooperation. In addition, the King noted with satisfaction the high level of cooperation within the framework of international organizations and stressed the importance of further cooperation. Salman bin Abdulaziz Al Saud supported the priority development of relations in the trade and economic sphere and instructed the responsible state authorities to ensure the promotion of issues of mutual interest. “The state bodies of the two countries should cooperate more closely on this issue. For my part, relevant instructions will also be given to strengthen investment cooperation. We must always support the issues that are in the Muslim community. We are kindred countries,” Salman bin Abdulaziz Al Saud said. He also noted the great contribution of the Kyrgyz side to the success of the international Camel Fest. The sides expressed mutual readiness to further deepen joint interaction between the countries.